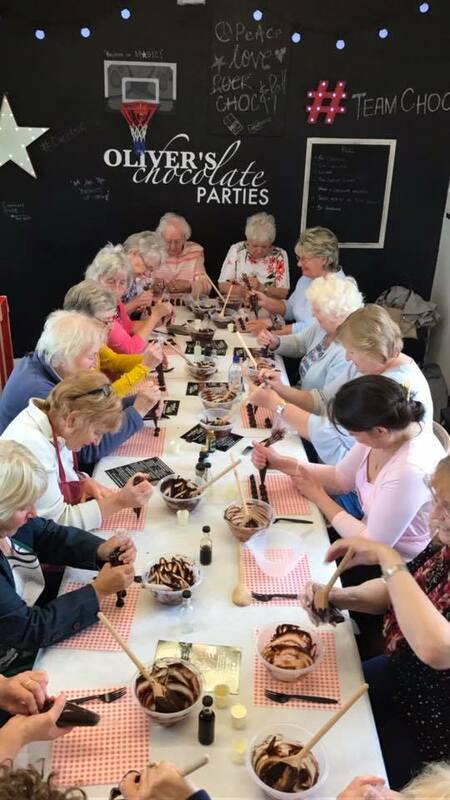 The perfect mix of creativity and fun makes the chocolate room the ideal place to celebrate any occasion or simply to experience something new with friends or family. Our party venue has been specifically designed with your enjoyment in mind. 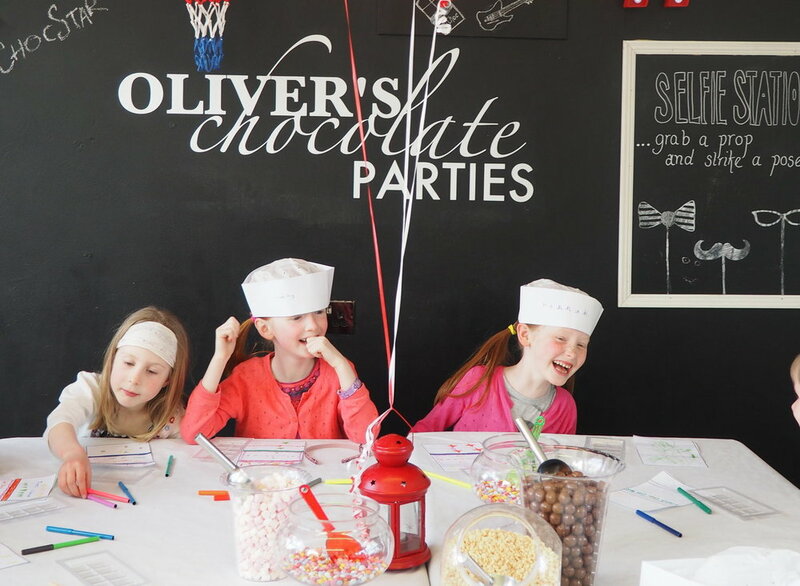 With views over Macclesfield canal the magical themed party room perfectly compliments the Oliver's Chocolate Parties brand and caters for up to 20 children or adults. We aim to make life as easy as possible for our customers, offering an invitation template for you to print and distribute.Party bags are included. 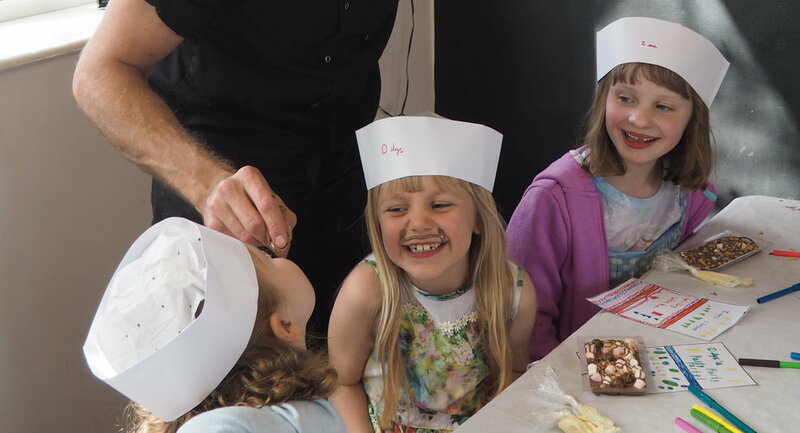 During children's' parties we have room for up to 4 adults in the party room. Parents are welcome to stay if they wish or alternatively they may take a seat in the coffee shop area in-between the party room and the chocolate shop. Where you can sample the delight of Simon Dunns' famous Hot chocolate, Tea or Coffee and Hot Chocolate all available to purchase at Simon Dunn Chocolatier next door during the hours 10am - 5pm Tuesday to Saturday. 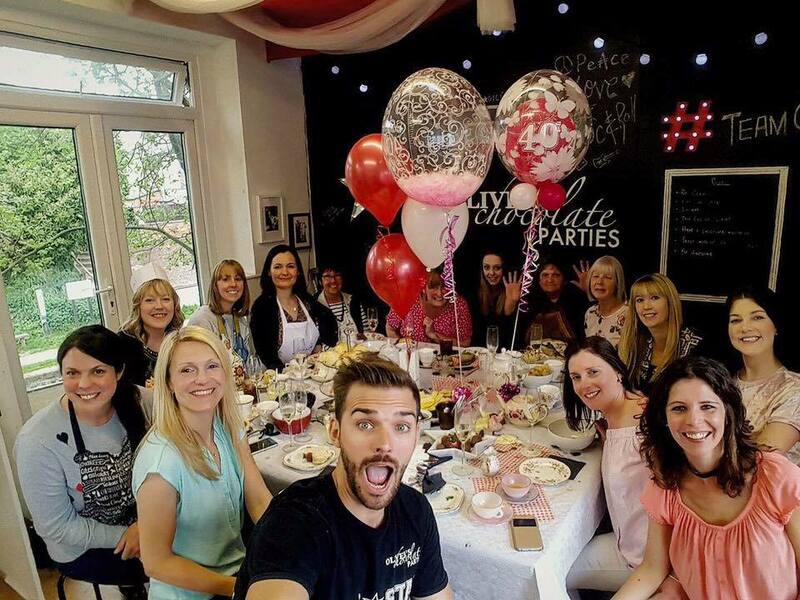 Choose from a variety of party packages all available at The Chocolate Room! All our children's parties include party bags, certificates and a Birthday card. PLEASE NOTE; SOME SAT NAVS WILL DIRECT YOU TO BREDBURY WHICH IS INCORRECT. WE ARE LOCATED BY THE CANAL IN HIGH LANE, NEAR LYME PARK. HIGH LANE STOCKPORT IS LOCATED BETWEEN HAZEL GROVE AND DISLEY. We are based in High Lane Business Court which is located off the A6 by Macclesfield canal, High Lane. You do not access via a side road, the entrance is ON the A6 so to access you can drive (or walk) straight through the arch from the main road, this is by Reflections caterers and the canal bridge. The entrance is directly opposite Pizza Pan away on Buxton Road, High Lane. If you are travelling from the Hazel Grove direction you pass the Horse Shoe on your left, then turn right after the Bulls Head by the canal on your right. We are unable to provide parking for customers in High Lane Business Court. There is parking available across the road at High Lane Medical Centre or at the Village Hall in High Lane park which is accessible from Windlehurst Rd. Please do not park outside any of the other business units. Here is some information you and your guests may need ahead of your chocolate party. If you could please forward this information on to the adults bringing the children that would be really helpful. We do not provide aprons as standard. They are not essential however feel free or bring them if you wish. The chocolate shop is open extra hours during busy periods. Parents/ guardians are welcome to stay in the party room if they wish or alternatively they may take a seat in the seating area in-between the party room and the chocolate shop. We ask that our party customers and their guests arrive ten minutes before the start time of the party or as close to the start time as possible.